Key Performance Indicators, often known as KPIs, play an important role in measuring the success of any SEO campaign. In the past few years, SEO has evolved considerably, and so do it’s KPIs or Key Performance Indicators. There are many different variables that you can play with while running an SEO campaign, and therefore, to make such a campaign successful, you need to have a control system. You can identify certain KPIs to act as a control system that allows you to analyze your campaign, and see what is working for you and what is not. In this article, I will share some of the most important KPIs that allow you to better track your SEO campaign’s success and improve its results. 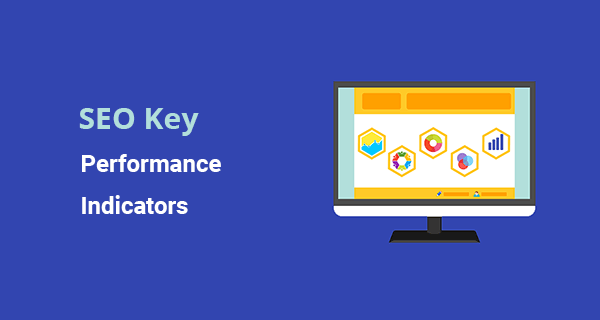 Without further ado, let’s have a look at the top key performance indicators. Page speed of a site is referred to the amount of time its content takes to load, or in other words, the time your visitors must wait before your page is fully loaded. It is one of the most crucial SEO metrics for any site. According to Google research, if your page takes 1 second to 3 seconds to load completely, bounce rate can increase up to 32%. If it is between 1 second to 5 seconds, it will be around 90%, and if your page takes 10 seconds to load, your bounce rate will increase up to 123%. That’s too much. In short, the better your page speed is, the higher it will rank. This is the reason behind page speed being one of the critical SEO KPI to monitor. You can use caching plugins such as WP Super Cache or WP Fastest Cache. if you are on WordPress without having to tweak the code. If you are using other platforms you can check their documentation on how to cache pages. Also, make sure to compress images before uploading them to your website. Bounce rate can be defined as the number of visits to your website, in which a person does not visit any webpage other than the landing page. It is one of the most important, but somehow, an undervalued metric of a good and a successful SEO campaign. The Google Analytics helps you in keeping the track of bounce rate for your website. 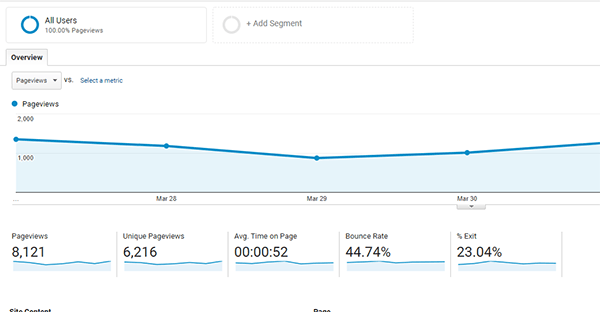 You need to keep a close eye on this KPI as it shows the path of your visitors when they land on any of your pages. If your visitors keep leaving your site only after a few seconds from their landing page, it means that there is some serious problem. One of the most important reasons for an increased bounce rate is the unclear or wrong information in your ad or in the meta description. If your visitors visit your site believing the presence of a piece of information there, and they are unable to find it, they’ll leave your page immediately. Therefore, it is important to provide the right information about your product or service in a language that everyone can understand easily. Web design, content, and layout of your site also plays an important role in reducing the bounce rate. In the simplest words, indexing is the process of Googlebot crawling and indexing your web pages to Google Search. 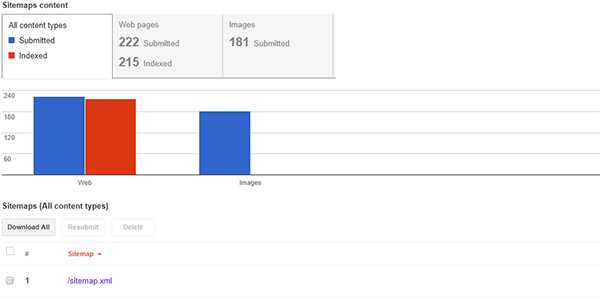 Tracking the number of indexed pages of your site is a very important SEO KPI. It is because unindexed pages mean that your content is not visible to people who are searching for it through a search engine. It means that you may be missing out some very good opportunities, especially, if your unindexed pages are the important ones for your site. Many people believe that when you submit a sitemap to Google to be indexed, it will be indexed automatically. Well, this is not true. When you submit a page to Google for indexing, the search engine takes it as only a suggestion, and it doesn’t mean that it will be indexed ultimately. To ensure that all your pages are indexed properly, always use Google Search Console to submit the sitemap. It is also important to check that none of your pages are blocked by robots.txt. Other than that, you can create a logical website structure and link pages internally. According to a study conducted by Infront Webworks, 95% of web traffic is received by the first page of Google. Therefore, the rank of your site on SERP is an important SEO KPI. After the recent Google updates, the most important thing that can help you in ranking your page higher is the way your content is written. Create content that answers your visitors’ questions, and offer doable solutions to their problems. If your content is stuffed with unnecessary keywords, instead of getting a good rank on SERP, your site may get penalized. The ultimate goal of almost every site is increasing revenue. 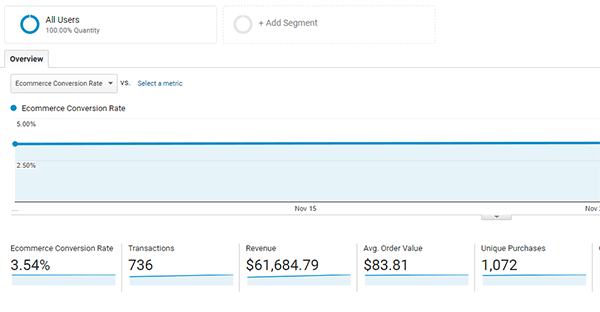 This revenue is earned when the visitors of your site are ready to pull their cards to pay you. But, the point is, every visitor is not your customer. To make it clear, let say, your site receives 30,000 visitors per day but none of them convert. This scenario is not favorable to your ultimate goal. This is the reason the conversion rate is a very important SEO KPI. Can you navigate through your page easily? Do your page has prominent yet simple Call-to-Action buttons? Do you offer a simple, one-step conversion process to your visitors (e.g. a free e-book, sign-up etc.)? Is your page speed good enough? Do you offer valuable content to your visitors? Do you have a solution for your visitors’ core problem? If your answer to any of these questions is a “no”, you must have to take a closer look at your site and make a proper strategy to make your site profitable. Most people hire SEO specialists to improve their website’s traffic. This will help them achieve business goals. If an SEO campaign is not improving website traffic, it should be a concern for you. Traffic is the most important KPI to measure the success of any SEO campaign. 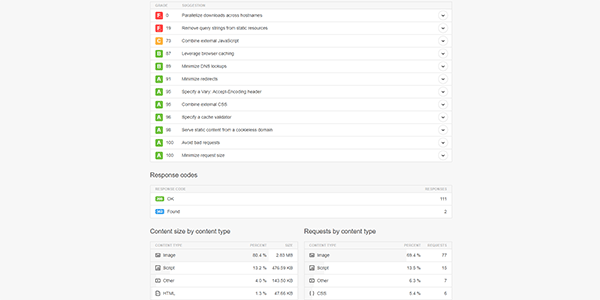 You can use tools such as Google Search Console and Google Analytics to better understand and track your traffic. When you keep monitoring these important KPIs and address all the issues that arise, you will see a drastic change in your stats. It will not only help you improve your organic reach, but your conversion rate will also be improved. I would love to hear what do you think about the important SEO KPIs, and how do you keep track of them. Also, if you want any help with SEO, you can check out my SEO services and get a quote anytime.